So far, I am very lucky when it comes to taking pictures of my kids. Sometimes No.1 gets tired of it but for the most of the time she is VERY cooperative. I tried to make this picture more “vintage” for Photo Art Friday theme (vintage) but all the textures and things I’ve tried beyond this point looked awful. Today, I’m back to normal, what means the headache is back and I feel like I want to shoot myself in the head to stop it! Hope you all are feeling way better than I am! warm hugs from my corner! and yes, No.1 is very photogenic, and No.2 is getting more and more independend what makes her momma less and less glued to her (or her glued to her momma). I do hope the headace stays away. Beautiful pictures of wonderful kids. Lovely, I like moving queues. What a darling, happy child. Watch out – you may have the next Beyonce in the making! she is a very happy child. always has been! No. 1 is so cute in these fun photo’s. I love the exuberance in her expressions and those flying pigtails are adorable. Enjoyed the video very much too. Such fun. Your daughter is adorable! Such joy on her face! Headaches….ech. I’ve had them most of my life and actually have one today, too. The wind is the trigger right now! 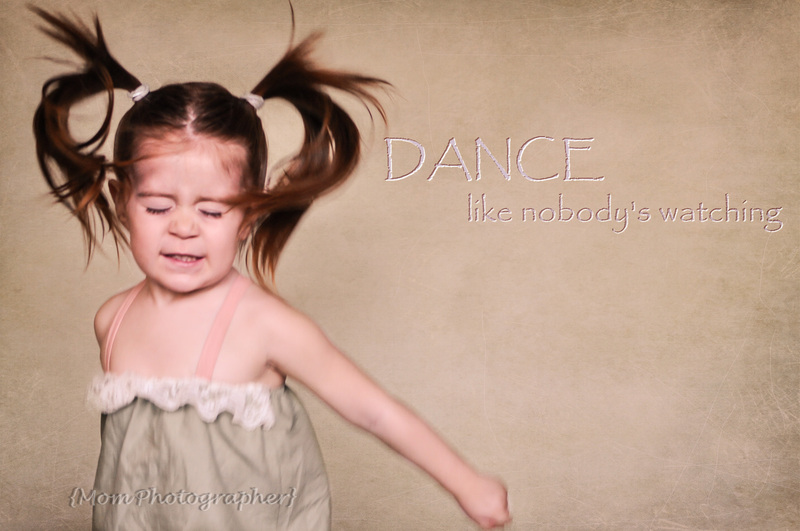 she is the most happy kid I’ve ever seen… and she loves to dance! and yes, headaches are terrible… thank you! Uninhibited expression . . . so adorable! I am so sorry about your ongoing headache but so joyful about the wonderful pictures of your dancing, carefree daughter. so funny and lovely pics! Baby come on! great images. I have trouble grasping the vintage craze some days. I had trouble going real vintage on my image as well. I guess part of it is I am old enough to be vintage myself and most of what I see as “vintage” is grungy images of things that are not old yet. SO I was glad to see your daughter looking like herself. Hope that headache stays away! i love that image of your daughter, she is adorable, hope you feel better now 🙂 p.s Love seeing the blossom in the background too! the makings of a great diva! I hope your headache is gone…sending you well wishes! Oh, good luck with the headaches, that is a pain. Hopefully they will just magically go away! Great photos! That’s awesome that she’s so willing to be photographed!